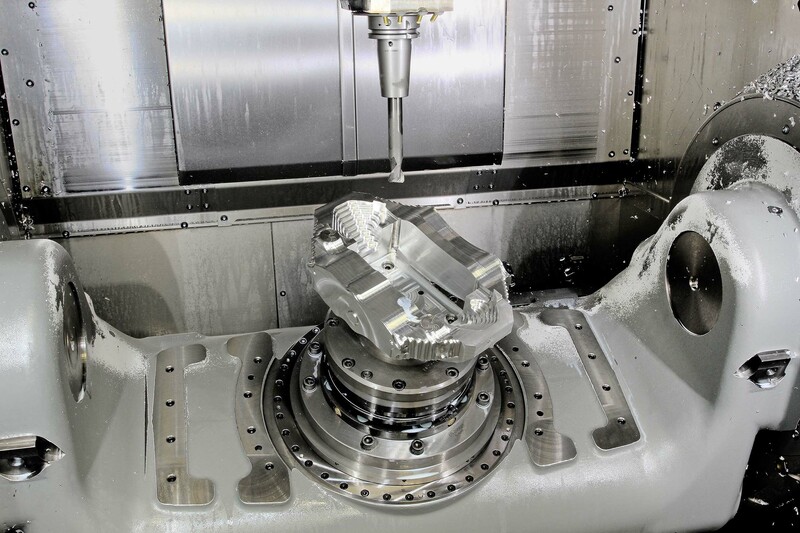 Similar to the original automated system installed in February 2007, the latest configuration is based on a bigger Hermle 5-axis vertical machining centre, a model C 32 U with 650x650x500mm axis travels, reflecting the fact that brake calipers have become larger during the past decade. Supplied by Geo Kingsbury, UK agent for the German machine manufacturer, the C 32 U has been equipped with an Erowa Robot Easy that stores twelve 210mm diameter pallets, which are transferred to and from the working area by a horizontally-travelling load/unload arm. Alcon’s Production Engineering Manager, Brian Cutler, commented: “The first automated system from Geo Kingsbury for machining calipers proved so successful that we had no hesitation in following a similar route this time. All of the production benefits apply to the second cell as well. Designs are produced in SolidWorks and Open Mind’s hyperMILL CAM software is mainly used for creating the cutter paths prior to programme transfer to the Heidenhain control fitted to the Hermle C 32 U. Brake caliper production is a natural application for 5-axis machining, as Alcon discovered ten years ago. Compared with 4-axis metalcutting, it is not only faster but also inherently more accurate, as approach angles can be adjusted to allow shorter and hence more rigid toolholders to access awkward areas of a component. Tolerances down to 13µ are held easily, according to Cutler.